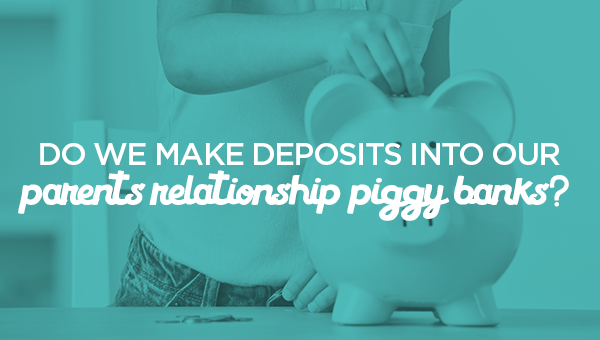 Do We Make Deposits into Our Parents’ Relationship Piggy Banks? While facilitating a ReadyRosie Family Workshop for a group of parents, I was struck by how our words impact our relationships. A simple word can be deeply affirming or completely devastating. During the workshop, we used the image of a piggy bank to describe how we invest in our relationships with daily deposits of positive words. The parents were very honest and shared their experiences. At the end of our discussions, I had them turn to another parent and simply say, “You are doing a good job.” A simple statement, a simple word, a spur of the moment decision on my part. Several parents came up to me later and said how they appreciated that statement. After the workshop, I was reflecting on this feedback from the parents and kept thinking: Do we as teachers put positive deposits into our families’ relationship piggy banks? We can’t do it daily, but do we do it at all? It’s easy to get bogged down with what we wished they did or didn’t do, but do we ever tell them what they are doing well? Isn’t that what we want them to do with their children? Focus on the positive? There are pages of research dedicated to the importance of teacher-parent relationships, how to strengthen the relationship, how to get families involved, and how to bridge the space between home and school. Maybe we could start by saying, “You are doing a good job.” A simple statement, a simple word. I think it would be a great positive deposit into their relationship bank! By the way, have you seen our new ReadyRosie shirts? Would you like one? How are you using ReadyRosie? 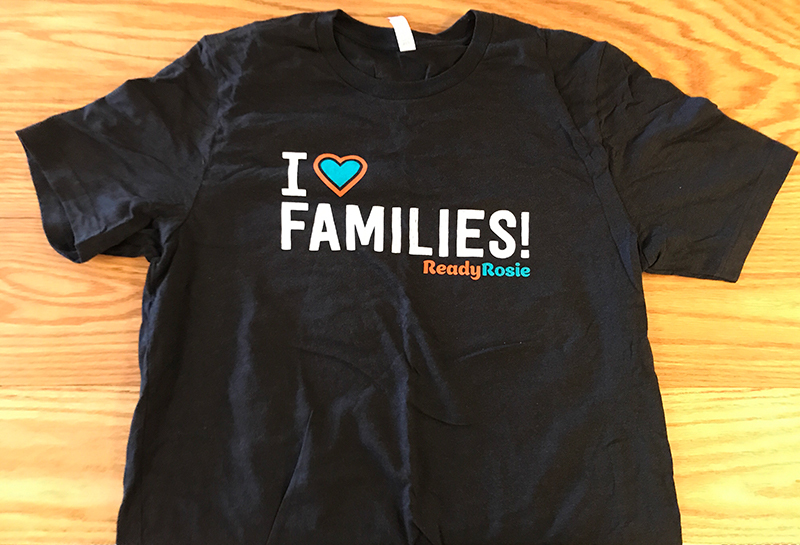 Email me at teddi@readyrosie.com, and we will send the first three teachers one of these t-shirts!